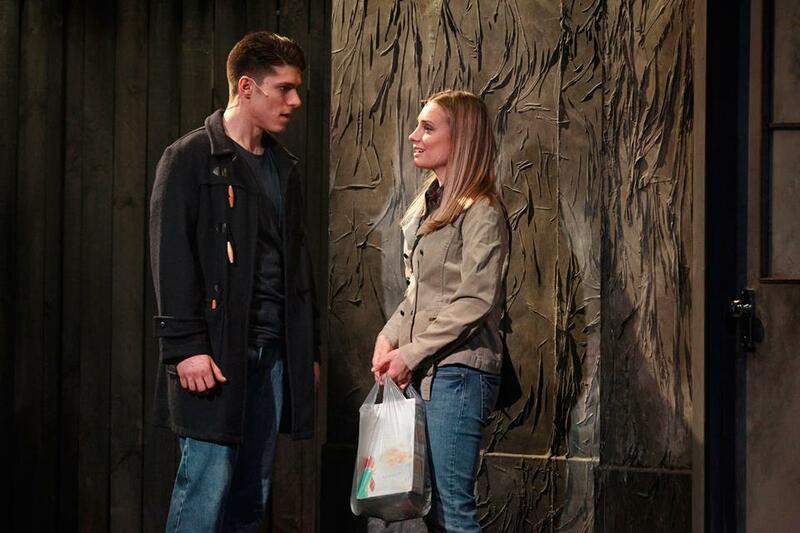 A top cast and solid production values elevate independent production Blood Brothers. The West End’s third longest running musical, Blood Brothers is a dramatically charged potboiler with a poetic book and lyrics by Willy Russell (Shirley Valentine, Educating Rita). Russell’s simple music is highly hummable and well matched to the lively working class characters. With too many mouths to feed already, fertile young wife Mrs Johnstone falls prey to her wealthy employer Mrs Lyons, who wishes to adopt one of the forthcoming twins. Early exposition strains belief, even for a musical, but the concept must be quickly absorbed for the remaining drama to play out effectively. Playing on Mrs Johnstone’s superstitious nature, Mrs Lyons threatens that twins separated at birth will both die if reunited. No spoiler alerts needed here as the tragic ending is stated in the opening lines of the musical. In an effort to maintain dramatic tension, Russell has the spooky narrator utter ominous premonitions and indictments all the way through the show. Even with the impeccable delivery of Michael Cormick, this device becomes heavy handed, particularly when the central story is compelling enough in its own right. Cormick brings a sinister whisper to the Narrator’s portentous lines, nicely balancing this with a knowing wink in the Narrator’s multiple cameo roles. The story follows Mickey and Edward from birth through to their early 20s, with a significant portion set in their childhood. Director Andrew Pole keeps energy infectiously high for the playground scenes, but wisely keeps dramatic scenes restrained and naturalistic, avoiding the potential for clunky melodrama as the story twists and turns. The show really takes flight in act two, when the youths move through adolescence to early adulthood and the love triangle between Mickey, Edward and lifelong friend Linda plays out. The writing is grounded and involving here, and the three central performers are outstanding. Bobby Fox demonstrates his dramatic range as plucky battler Mickey, clearly conveying the character’s simmering battle between optimism and despair. Fox lands plenty of welcome laughs, and his delivery of “I wish I was our Sammy” is a highlight of act one. His portrayal of Mickey’s crippling depression is also sensitively handled. 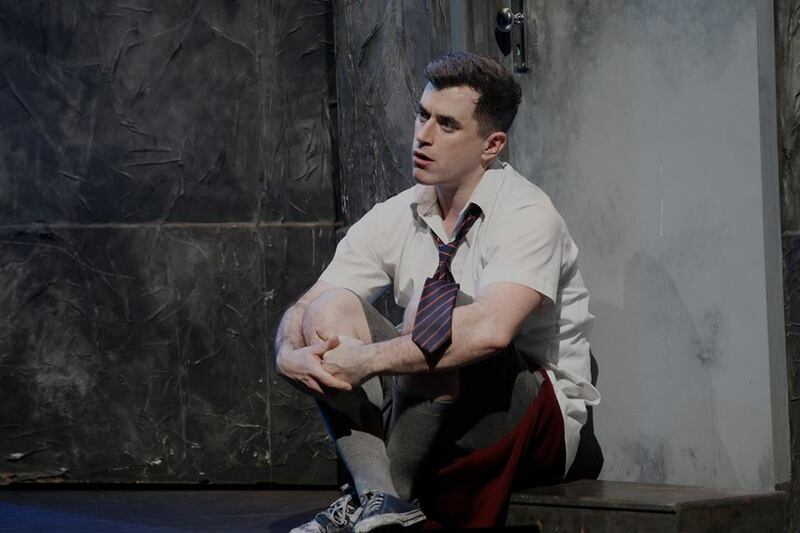 In a welcome return to the music theatre stage, Josh Piterman gives a nuanced performance as Edward, cleverly balancing the character’s sheltered, wealthy upbringing with the laddish tendencies that lie genetically beneath the surface. Piterman’s gorgeous tenor is heard all too briefly in Edward’s act two ballad “I’m Not saying A Word.” Piterman’s unbridled portrayal of Edward’s effervescent naïveté brings many delightful moments. 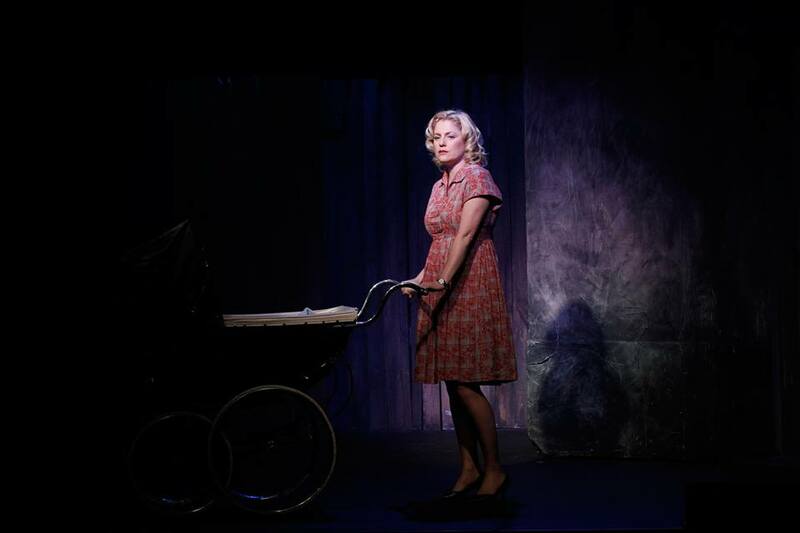 In a charming, beautifully understated performance, Christy Sullivan is sweetly endearing as Linda, charting the young woman’s development (which, naturally, is out of step with the boys) with deft precision. 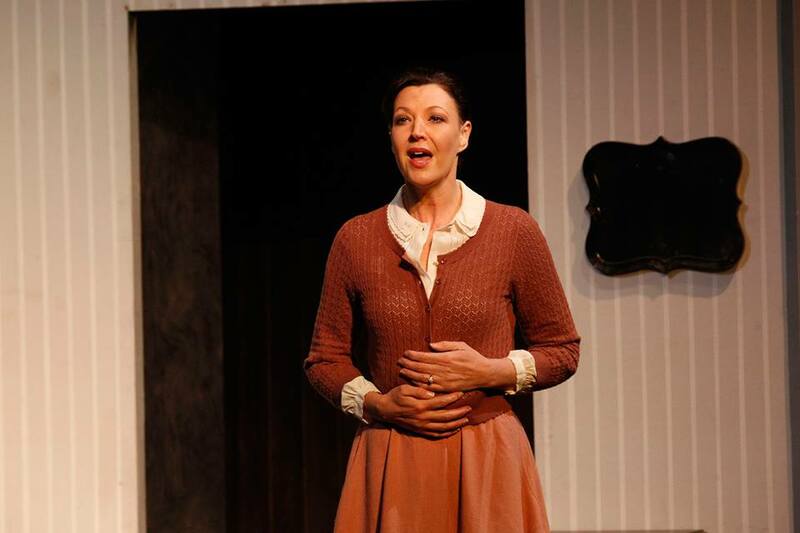 As the central character of Mrs Johnstone, Helen Dallimore also displays a carefully considered understated style, lightly etching the poor woman’s woes on her face and body rather than overplaying the traumatic developments. Dallimore seemed to be not quite in full voice on opening night, but her singing was nonetheless sweetly expressive, with many songs tugging at the heartstrings. Bronwyn Mulcahy plays the demented Mrs Lyons straight, strengthening the believability of the role. Jamie Kristian is wonderfully sleazy and grotty as no-good older brother Sammy. Talented actor Matt Edwards flips between cheery and gruff in a range of supporting roles. Erin James plays an incredible number of roles, including dear Donna Marie, expertly creating looks and expression to distinguish each role in a unique way. Kellie Dickerson’s music direction is reliably pristine. The four musicians, including Dickerson on keyboards, create the light rock sound of the 1980s score. Set and costume design by Anna Gardiner is sturdy and flexible to suit the many situations and time periods. Christopher Page’s lighting is noteworthy in that does not draw attention to the lights, just to the action. 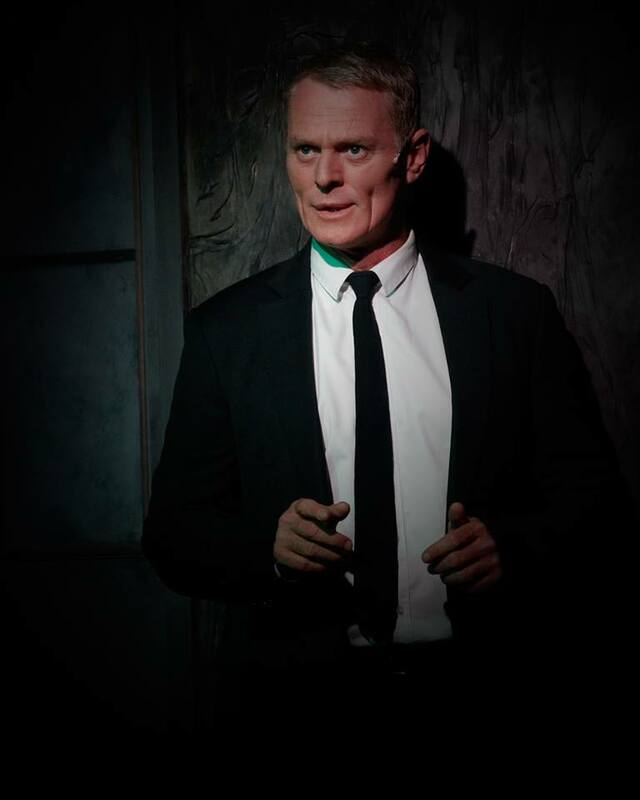 As a music theatre piece, Blood Brothers is a product of its time and will not necessarily be to the taste of all current music theatre fans. This production and cast certainly bring out the best in the show. It is not often that such a strong cast can be enjoyed at reasonable prices in such in such an intimate theatre. 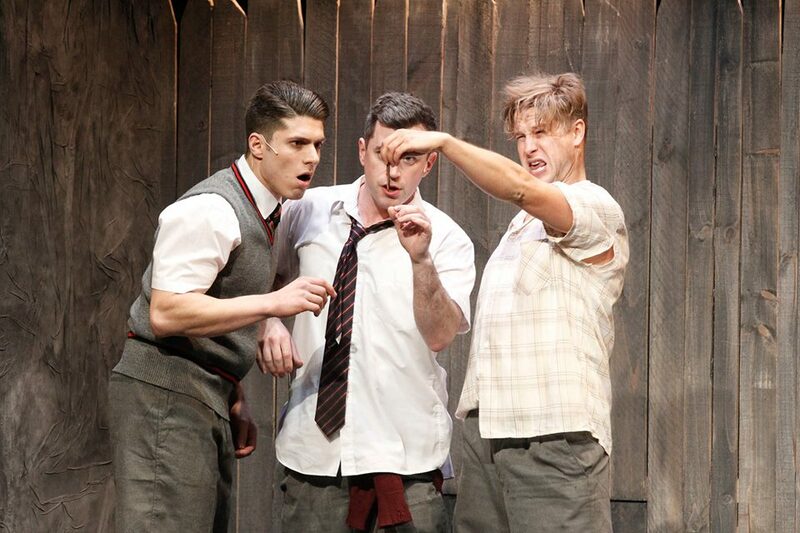 Blood Brothers plays at Alex Theatre, St Kilda until 2 August 2015. 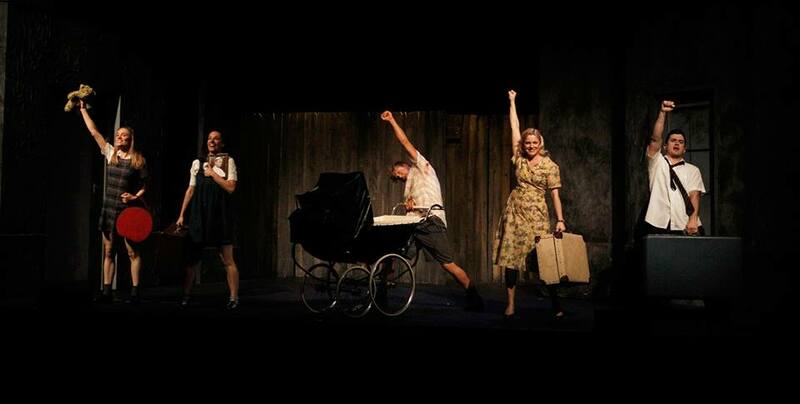 Man in Chair reviewed the 2015 Sydney season of Blood Brothers. I’m really glad to hear this Paula. I heard Helen in the role in March and she was in great voice. I wanted to mention that her voice did not sound its usual full strength in case any audience members thought that was just her natural voice. I agree about the terrific quality and reasonable price. 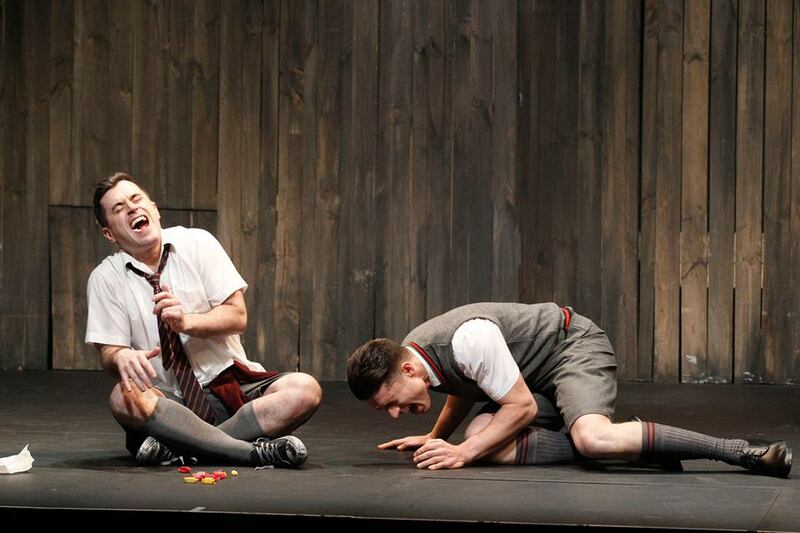 Good news for Melbourne theatregoers!